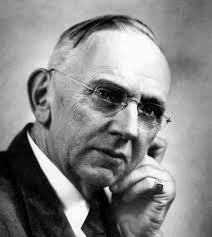 Edgar Cayce is quite possibly America’s best known psychic/sensitive with literally dozens of books, articles, and even TV documentaries produced about him and the trance readings he gave during the first half of the last century. But if Mr. Cayce’s ideas and healing modalities were so insightful why is it that no one has been able to replicate them since his passing? One person dared to go beyond the forbidden zone to find out the surprising truth about the healing modalities unique to the Cayce perspective. Phil Thomas is the author of the book, Beyond Theory: Edgar Cayce’s Natural Health, which provides experiential support for Edgar Cayce’s theories. There are people out there who started using authentic herbs and healing substances from China 200 years ago. This idea of stealing an electron from the healthy cell is coming up again here…similar to what the Carbon-60 man told us a few weeks ago.